Note: Make sure you are using pasteurized egg whites. Unpasteurized eggs are not safe for raw consumption. In a large bowl add all of the ingredients (saving 1/4 tsp of the ground cinnamon, and 2 Tbsps of the erythritol to coat the protein balls later on). Mix the ingredients with a spatula until combined. Once combined refrigerate the bowl for 10-15 minutes. Remove the bowl from the refrigerator, and use a cookie scoop to form 10 equal sized balls. 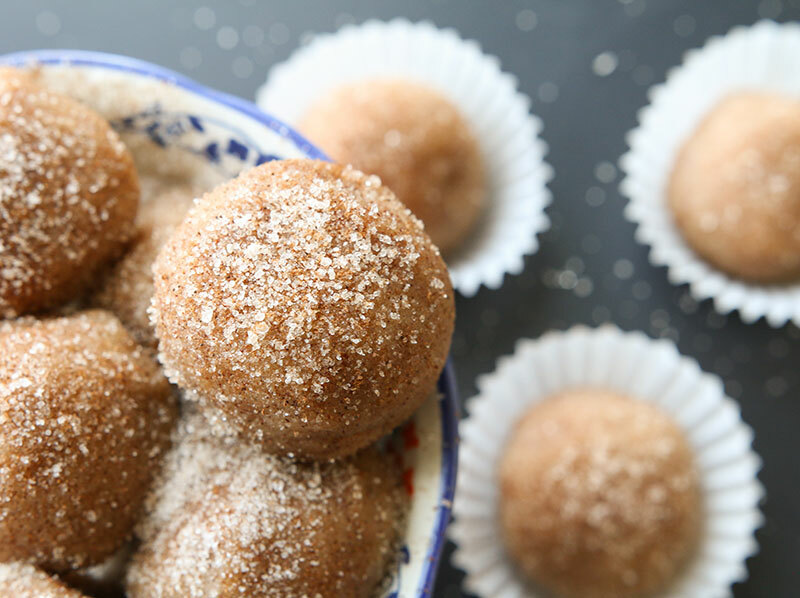 Combine the left over cinnamon and erythritol in a small bowl, and coat each ball in cinnamon sugar. Enjoy the protein balls, or transfer them to a baking sheet - or large plate - lined with parchment paper, and freeze. Make sure to seal the sheet/plate if storing the protein balls for longer than just 1 day and keep refrigerated or frozen. If you keep them frozen, remember to let them thaw out for several minutes before eating. This is a post recovery workout drink recipe that we think youll really enjoy. 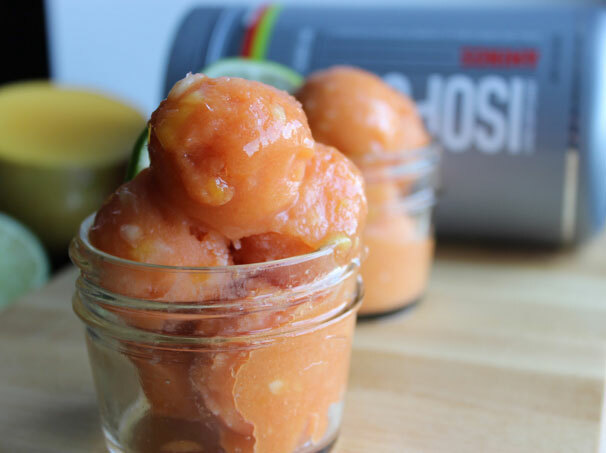 This Cherry Mango Aminos Sorbet is smooth, creamy, super easy, and absolutely full of deliciousness! 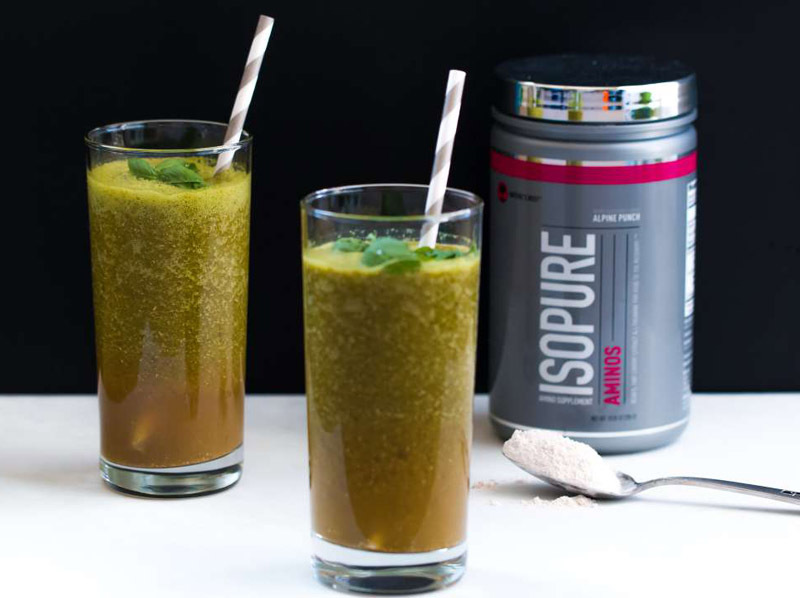 Made with Isopure Cherry Lime Aminos.